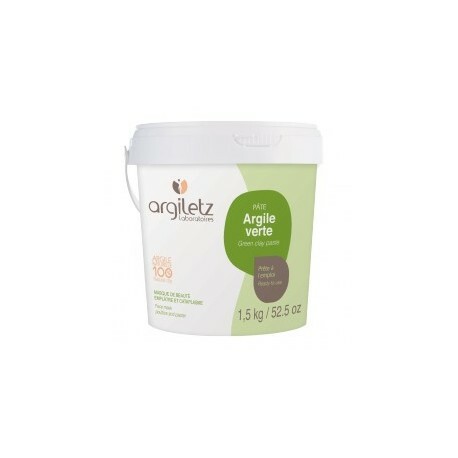 Very rich in minerales and oligo-elements, juste mixed with water, this bucket of clay ready to use is very convenient. You just have to open and apply on the afected zone. On external wounds or internal pain, the poultice of green clay will relieve most of your pain and allow a fast healing. Very convenient in this plastic busket, you can use and reuse it at conveniance. Ingredients: Raw ilite green clay, water.